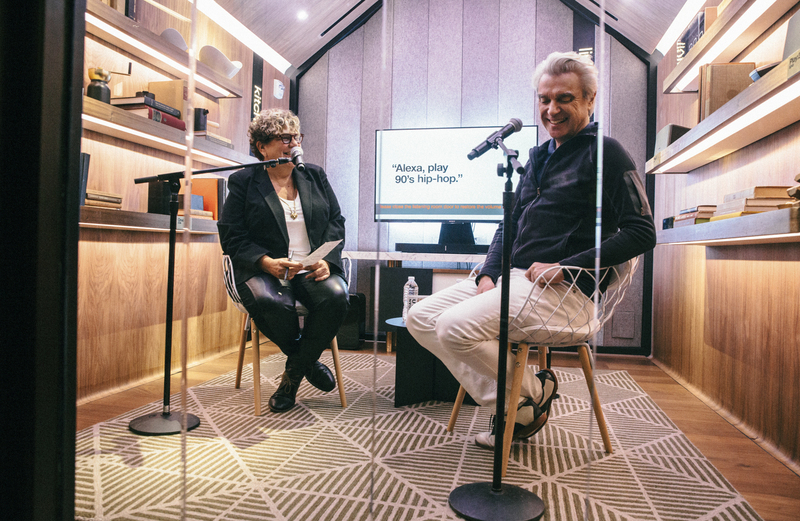 In the midst of glowing reviews for his new album, American Utopia, and while making plans for a bold new tour, David Byrne sat down with me at the Sonos store in Soho for a chat. Byrne is as vital and relevant as ever, and seems to be a man on a mission, using music to spread ideas that make a difference and doing it all with a beat. Ever the New Yorker, he spoke with me about his love of the city. As we wrapped up, he took a few selfies with the audience, donned a fur hat, hopped on his bike, and rode home in the chilly Manhattan night. 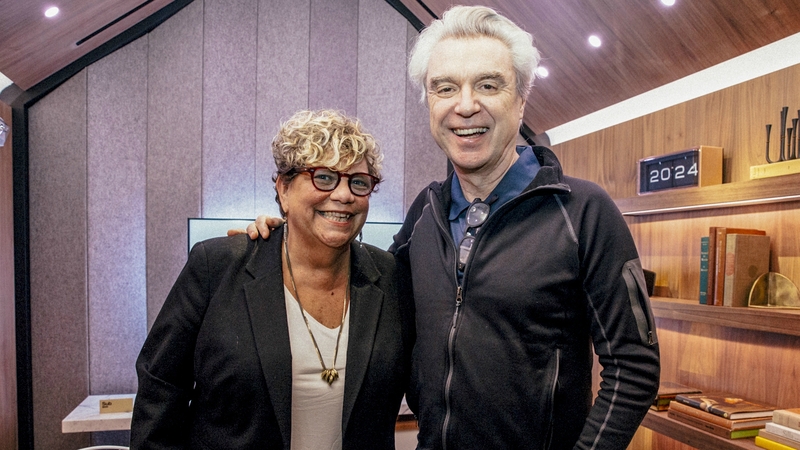 You can listen to our conversation below and on FUV, airing at 8 p.m. EDT tonight and Thursday, March 29 at 7 p.m. (90.7FM and wfuv.org). 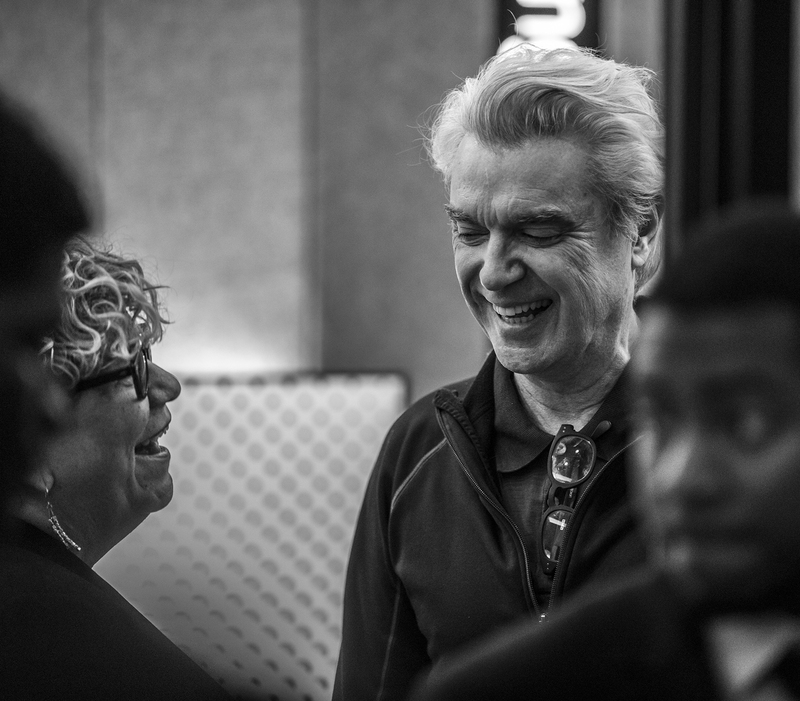 Byrne also handpicked the following playlist of artists, including the musicians he worked with on the album and those he's bringing out on tour.